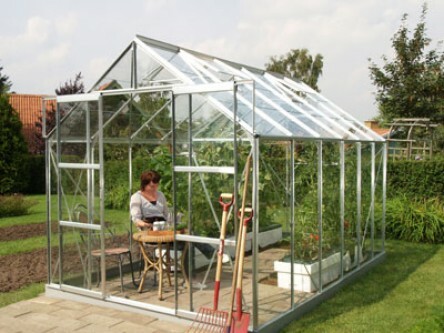 – Vitavia’s premium greenhouse is available in 4 sizes, each 2.57m (8’5”) wide with double doors. The Jupiter (Uranus) has an impressive eaves’ height of 1.51m (4’11”) offering increased headroom and working space. Once again, standard gutters are fitted, along with 2 – 4 roof vents depending on size. Additional strength is achieved by corner plates and braces throughout the building. All Jupiter (Uranus) models have been approved by the TÜV Standards Authority.